The Tuscan countryside is dotted with agriturismi — farm house B&Bs. While the typical speedy American budget traveler opts for small guesthouses and rural B&Bs to travel cheaply and close to the people, more and more Americans are learning about agriturismi in Italy, gîtes in France and Ferienwohnungen in Germany. These apartment flats or country villas come with kitchens and no daily maid service. They rent only by the week at a great price. This is an especially good value for families and traveling groups who want to just stay put as temporary locals or use their flat as a base for exploring by rental car. 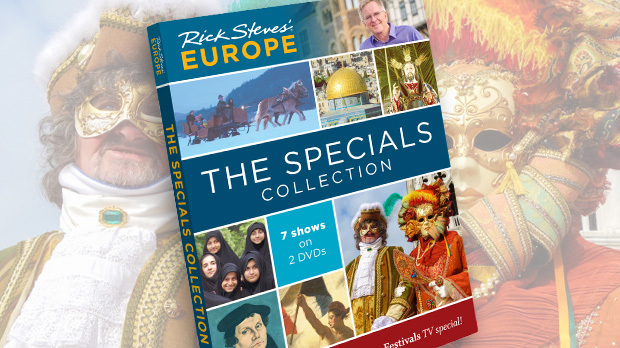 As a tour guide for Rick Steves, I meet lots of Americans traveling in Europe. Inevitably, travel conversations settle on the topic of living in Europe, or at least getting away from the usual routine of rushing from one sight to the next. While there are many excellent ways to slow down and experience Europe, including leisurely stays at the small family-run hotels listed in Rick's guidebooks, one of the best methods is renting an apartment, farmhouse, or villa. 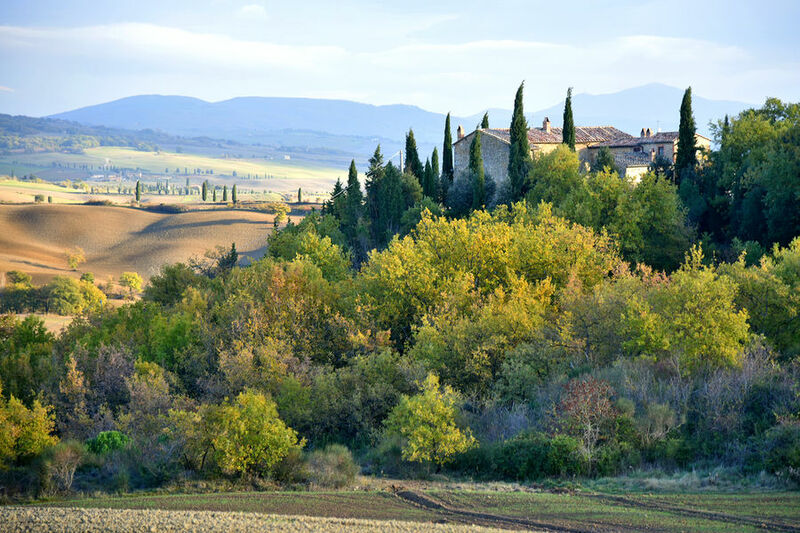 My wife Mary and I have done this for the past few travel seasons with week-long stays at a house in Provence, an apartment in Florence, and a farmhouse in Tuscany. How did we find the right spots? The same way you'd find a good rental here in the US. Ask friends, look through guidebooks, check out newspaper real estate listings, and surf the web. Before you look, identify what you hope to experience and where you want to go. Are you looking for an exciting and lively week in an urban location? Then Florence and Paris are better options than the countryside of Provence or Tuscany. Fortunately for Americans, the British are some of the most avid seekers of weekly rental property in Europe. That means most properties show up in English-language catalogs and web listings. Europeans, however, have more experience with weekly rentals than most American travelers. Quite often they reserve their favorite place a year in advance. Still, Europe is full of rental opportunities. With a little work, you can find one that's right for you. Listings on the web typically fall into three categories: catalog listings from established rental agencies, local or regional listings from cooperating property owners, and individual owners listing single properties. Each source has merits. Established agencies often offer more choices. They check out the properties and provide ratings and / or reviews. Quite often, they allow easier payment options such as credit cards. But if you deal directly with the owners, you'll probably pay less. Pick your favorite search engine, type in keywords such as "Tuscany rental villa," and start clicking. That's how I located our rural farmhouse with a private pool in a "back door" agricultural region in Tuscany, the Niccone Valley. Web listings usually include pictures and descriptions of the property, prices and payment options, availability (including acceptable check-in times and procedures), and any extra amenities, such as a pool or children's play area. Generally, the website does not fully disclose the exact location of the property; you'll get that after you pay. Keep in mind these websites are marketing vehicles for the listings. What looks secluded or grand in a photo may actually be next to the local garage. If you have doubts or questions, you can usually resolve them via email. Avoid peak season to sleep cheap. Rental prices follow the old rule of supply and demand. You'll pay more to visit popular vacation regions when the Europeans take their holidays in July and August. If you want amenities, be willing to pay for them. A private pool can add substantially to the cost of a rural rental, as can air-conditioning in an urban apartment. But during one of Florence's hottest weeks in June the pool and air-con were worth every euro! For one or two people, rural apartments can be an excellent lower-cost option to an entire villa or farmhouse. Often the owners have renovated an original rambling farmhouse or medieval estate into a series of well-constructed apartments with private kitchens, bathrooms, living areas, and individual outdoor terraces. They usually share a common pool and other amenities. Most properties rent on a traditional Saturday-to-Saturday time period. You will probably be unable to rent for a different or shorter time, especially during peak seasons. You will need private transportation, such as a rental car, to fully enjoy — or even reach — a rural rental property. The rental property usually comes with an "instruction manual" containing information on how to operate the appliances and suggestions for local restaurants, shops, and sightseeing. Go with the property owner's suggestions to discover authentic local restaurants and activities you might never stumble upon otherwise. Frequent local mom-and-pop grocery stores, butcher shops, pastry shops, and bakeries. Get to know your local greengrocer and he'll treat you like a local — personally selecting the ripest fruit and freshest salad fixings. Part of the fun is collecting all the goodies; the other part is creating meals with them in your fully equipped kitchen. Explore your neighborhood. An early morning walk as the sun rises will probably find you in the company of the local farmer as he trims his grape vines, or the neighboring Italian grandmother who is lovingly tending her small garden. Go ahead — interact, even if you don't speak the local language. Start planning your next visit before you even return home. Explore rental properties you notice, visit real estate agencies, and ask local residents and ex-pats for recommendations. Slow down and enjoy. Even take a day off, or as Rick says, a vacation from your vacation. One of the joys of staying for at least a week in one location is you can develop a true dolce far niente ("sweetness of doing nothing") attitude. If the rain is pattering outside, grab a book from the in-house library and curl up on the sofa. Staying put in one spot gives you the chance to let the days unwind without a plan. Often the highlights of our journeys are the unexpected thrills, such as watching Florence's annual San Giovanni Day fireworks from our apartment balcony, or spending an hour rescuing a waterlogged hedgehog from our pool in Tuscany. These are the kind of experiences I wouldn't have missed for the world, and that I probably wouldn't have had if I were hotel hopping. 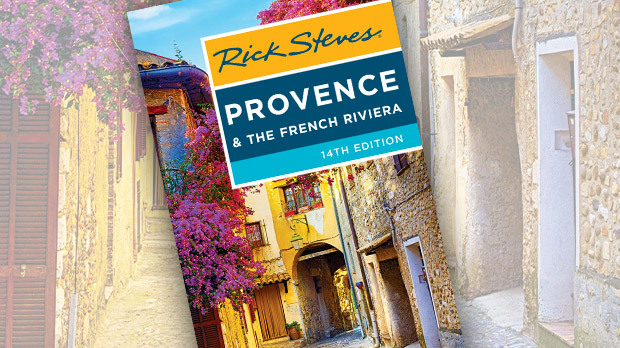 Rick Garman is a veteran Rick Steves tour guide.